Love handles are that part of everyone’s body that they would rather hide than show. And it’s no wonder — that section of fat around the midsection can be unsightly, making fashion choices a nightmare. But is it possible to get rid of love handles? Why are they called love handles? What are love handles? All the answers you need and more can be found right here. Love Handles — Where do They Come From? 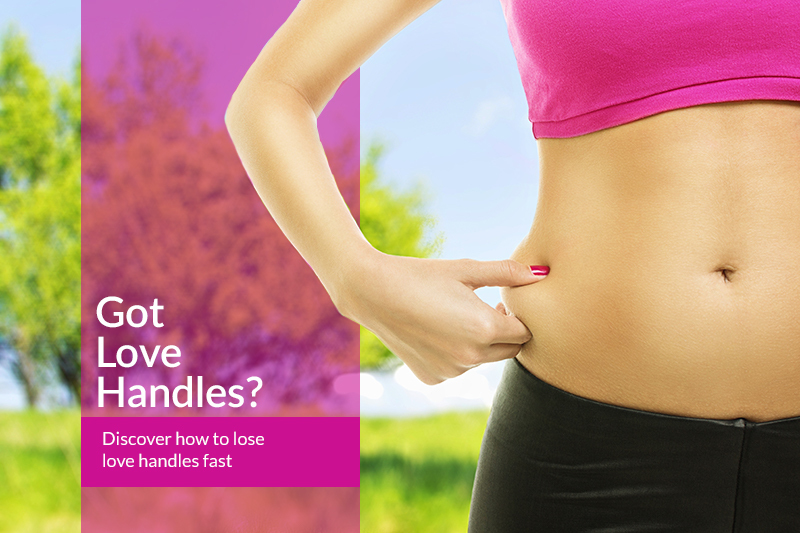 Love handles are sizable chunks of fat deposits that are located in the midsection of the body. They are caused by lack of exercise, little attention to diet, poor sleep patterns, extreme stress, binging on alcohol and sugar, and other factors. 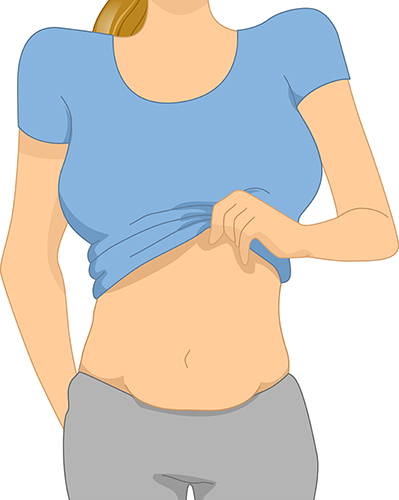 Best known as an unfortunate body part, love handles also have one benefit, albeit a small one — they are formed around the midsection in women as a protective measure of the reproductive system and internal organs. Because women gain fat more than men, women are more susceptible to be beset by love handles. Love handles are also one of the biggest complaints most people have about their bodies. Many people feel like they work hard to get rid of it and it just won’t budge. Both men and women seem to have this problem. Men and women can both be plagued by love handles, but there are key differences as to how they occur in each gender. Knowing how love handles develop for your gender can be the key to you learning how to reduce them. 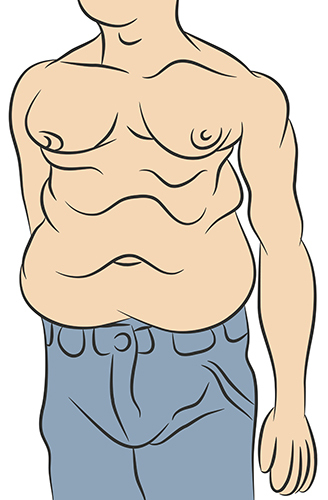 Men are least prone to getting love handles, although it is not uncommon to see men with them. However, the way in which men develop love handles can be more extreme than with women. Love handles develop in men who binge-drink alcohol and consume too much sugar without any type of exercise. These men are the ones who drink three beers in a row while eating a hamburger and fries, topped with a dessert without ever once thinking of going to the gym. Men who also do not get enough sleep, averaging less than six hours of sleep a night, are also more prone to develop love handles. Their bodies are not allowing for their metabolism to reset, upping their cortisol levels, and making them reach for junk food more often than not. The good news for men is that losing their love handles fast will be no problem, but it will take discipline. Keeping to a good diet with moderate exercise is usually enough for any man to lose his love handles within a couple of weeks. For women, love handles are different. The female gender has a genetic predisposition to gaining fat, especially around the middle. Why? Because women give birth to children, causing their bodies to have different needs, like needing fat in their midsection to support a pregnancy. And it’s not just during pregnancy that this occurs. Women overall find it more difficult than men to drop weight and fat, no matter what their age is. This also causes more intense cravings and differences in results of diets and exercise routines. Women have to be aware of how balanced their bodies are. They have to make sure, just like men, they get enough sleep. More than men, however, they need to be aware of their stress levels. When a woman’s stress level is high, she will generate more cortisol, increasing not only belly fat and love handles, but also fatigue. Fatigue results in lower workout capacities, which means a woman will be less likely to workout out hard when she is stressed. The best way to lose love handles fast is to cut out sugars, processed foods, and alcohol while engaging in high-intensity interval training three times a week. 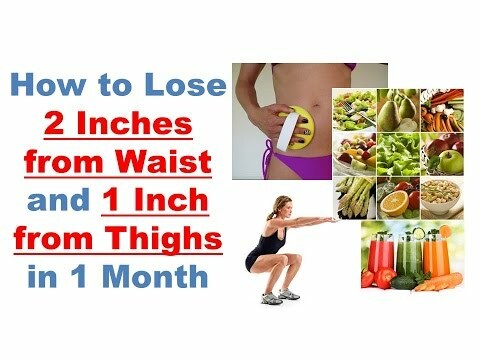 While this plan may sound hard, it’s actually quite simple with results showing in just a few days, especially for those who remained completely committed to this program. A low-carb, high-fat diet combined with short bursts of intense exercise pushes your body to engage the fats already stored in your body. By using the fat stores you have and not eating or drinking anything to introduce more fat you are forcing your body to slim down and run more efficiently. 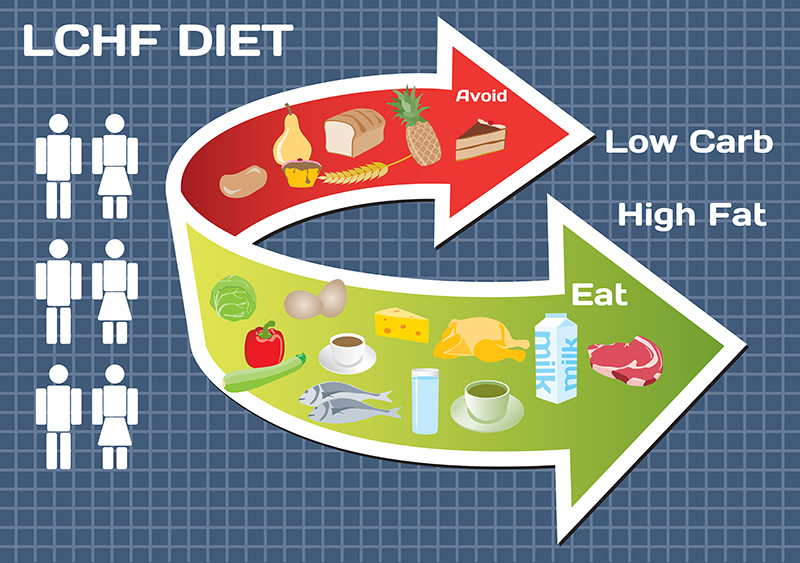 Combining this diet with the other factors listed below will make for the best results in less than two weeks. Just be aware that your results will only continue as long as you remain committed to your new diet and exercise program. Balance is important for the body. When everything works in sync, the body is working efficiently to provide us with the best results. That’s why your stress levels, your diet and workout routine, and your sleep patterns are important. If one is out of whack, chances are it will throw the rest of your body out of sync as well. To learn how to balance your body may take some time. While your goal is to lose love handles fast, keeping them off is also a goal, so take the time to make sure that you are getting the proper amount of sleep while also keeping your stress in check. Also, keep in mind that you are not always going to get it right, and that’s okay. Just keep trying. Try to get 8 hours of sleep at night. Take five minutes a day and meditate, or do something that relaxes you. Get back in touch with yourself. Your body won’t be focused if you aren’t. You may think this header is misleading, but there are in fact ways to combat love handles through diet. However, for most people these dietary changes will be difficult, partially because they are such a departure from the American diet. For example, love handles are created through poor diet — an excessive intake of refined and processed foods, sugar, alcohol, and carbohydrates that provide no real nutrition. And because we now know that diet has a direct impact on our moods, creating a cycle of bad dieting, we know that the only way to lose love handles and keep them off is to transition to a clean diet. 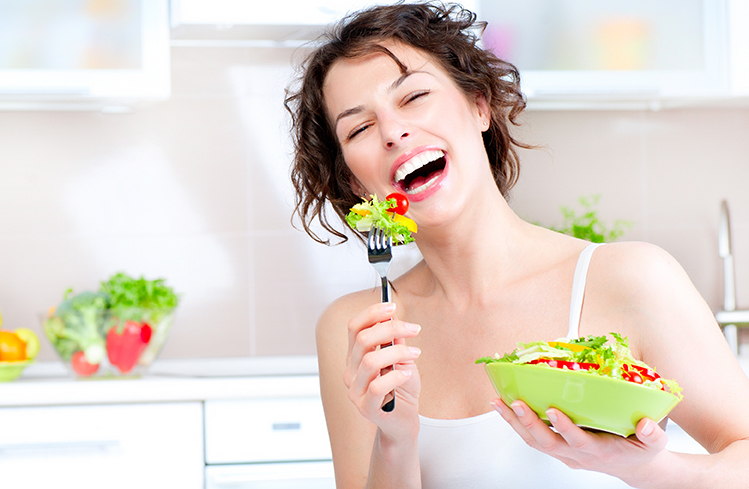 A clean diet is a diet that is based on whole foods, nuts, proteins, and fats that are minimally processed. Because the foods aren’t processed, they are easier to digest. Easy to digest food gets turned into fuel, allowing us to burn it off rather than storing it in our midsection. But the true secret to the “love handles” diet is to cut down on the amount of carbohydrates that you consume. By reducing your carb intake to between 50-100 grams a day, you can reduce your love handles and see results in less than a week. This is because carbs are energy that gets stored. Even if you work out every day, chances are that if you’re eating a carb-heavy diet, you are only burning carbs and not fat. 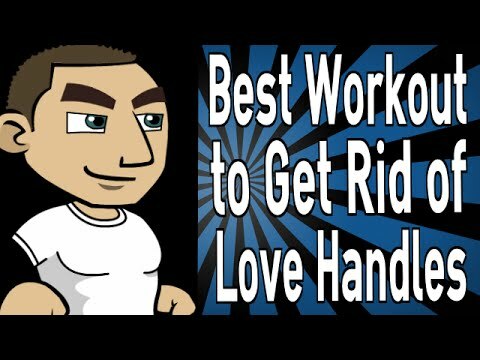 To get rid of love handles, you need to burn fat. Focusing on healthy fats and low carb intakes will show you significant results in one or two weeks, providing you with evidence that your diet is working, just by looking in the mirror and feeling it in your clothes. And that’s what we all really need, isn’t it? While there aren’t many exercises that can target just the love handles, there are exercises that will strengthen your overall abdominal area. Strengthening the abdominal, plus the obliques — the muscles at your sides — will help reduce love handles. The tighter the area, the easier it will be to maintain your figure, regardless if love handles come back again. Perhaps the strongest of the body weight exercises to reduce love handles is the plank and its variations. The plank is a move in which you hold the upright position of a push-up, using either your forearms or your hands, for a period of 30 seconds to two minutes. It is an incredible exercise because it tones your body overall, with special attention given to the waist and core muscles. The variations, which include side planks, target your obliques. Because your obliques are the muscles right above your hips, they are the muscles most likely to be affected by love handles. Holding a side plank for 45 seconds will strengthen your obliques, making it easier for you to do more ab exercises to whittle your waist and your love handles. Do love handles and back fat have a relationship? Yes, they do. Both are caused by poor diet and little to no exercise, resulting in heavy fat deposits around the body. 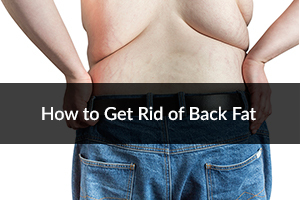 For many people, the fat is accumulated on their back and around their waist. Back fat will be further explored in another article. Keep in mind that if you have love handles, you most likely have back fat as well. The tips included here and in the other article will serve to guide you as you combat these fat deposits on your body to ensure a healthier you!